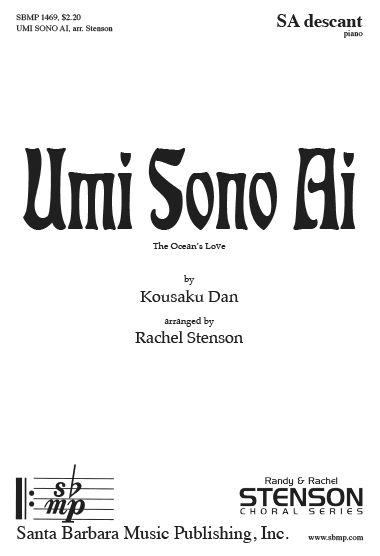 Umi Sono AI, arr. Rachel Stenson | Santa Barbara Music Publishing, Inc.
while guided by the stars. And gives us hope for tomorrow. I entrust my life to you. let’s survive a storm and travel to a far place. Embrace a man’s emptiness into your arms.